L’Occitane (www.loccitane.com) is one of the world’s foremost premium brands of natural beauty products. A €1.32 Billion company, L’Occitane celebrates and preserves traditions of the beautiful French region of Provence and has become the worldwide reference for Mediterranean well-being through its unique products. There are over 1,514 L’Occitane stores worldwide and over 95 L’Occitane Spas in 90 countries. The luxurious Mediterranean themed Spa L’Occitane invites every guest to open the door to a Spa in Provence, to experience the simple warmth of sunny soil and a unique journey. Every gesture, every ingredient is drawn from the L’Occitane grand herbarium, providing an unforgettable authentic and sensorial experience for its guests. With close to 50 beauty and spa treatments, Spa L’Occitane has an unparalleled expertise in catering to the needs of most individual with diverse tastes. Our therapists and operations team receive their training from the Spa L’Occitane team in Paris and Hong Kong. We create signature treatments in our locations using local flora and fauna mixed with natural L’Occitane products. L’Occitane Spas are currently present in two dozen countries worldwide. Sanghvi Brands Ltd. has over twelve L’Occitane Spas in South Asia and we are in the process of launching L’Occitane Spas in the United States of America and the Indian Ocean. L’Occitane Spas can be found in some of the best properties in the world, from Relais & Chateaux properties to Small Luxury Hotels to opulent Philippe Starck projects to large branded Hotels such as Sofitel and JW Marriott. If you are a luxury property that would like to have a L’Occitane Spa, send an email to director.bizdev@sanghvibrands.com. Ensconced in the valley of Gods in the state of Jammu & Kashmir, Himachal Pradesh and Uttarakhand, Spa L’Occitane lies amidst unspoilt acres of meadows and pristine nature in the Himalayas. The luxurious spas offer holistic well-being experiences and is a haven of Mediterranean wellness. 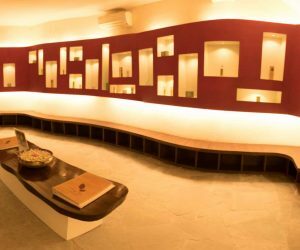 Nestled cosily on the banks of the magnificent Ganges in Kolkata and along the banks of Beas river in Manali, the luxurious Spa L’Occitane offers complete rejuvenation and relaxation using techniques from the East and the West such as Swedish, Hawaiian Lomi-Lomi, Balinese & Shiastu. Fight the stress of city life, be pampered – look good, feel good. 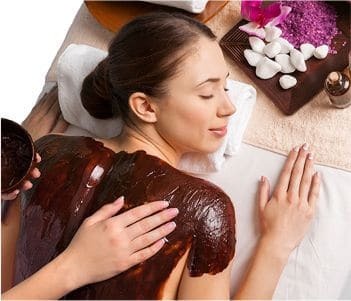 From full body massage to scrubs & wraps, foot reflexology to facials, manicures to pedicures, Hammam to Ayurveda – Spa L’Occitane in urban city such as Mumbai indulge people in all sorts of Provencal-inspired wellness treatments using some of the best techniques including Balinese, Lomi Lomi, Shiastu, Hot Stone & Deep Strokes. 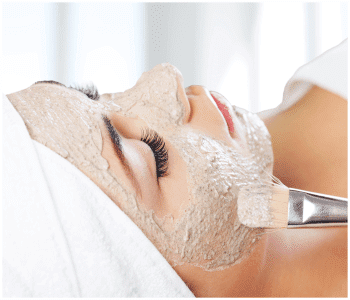 Exfoliate dead skin cells to get renewed, glowing and healthy skin with Body Scrub spa treatment at Spa L’Occitane, which will leave you hydrated and refreshed. A nourishing spa Body Wrap in India at Spa L’Occitane will soothe your skin, making your body feel supple and well hydrated. Area Focussed Treatments Before, after or during a treatment, discover a few additional best Area Focused spa treatments by Spa L’Occitane for him and her. Khyber Spa by L’Occitane is a luxurious Mediterranean themed spa, located amidst greenery and 7 acres of forests at The Khyber Himalayan Resort & Spa. 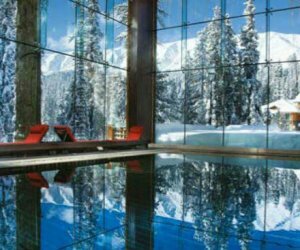 Offering spectacular view of the Pir Panjal Mountain range, this spa in Gulmarg is ensconced amidst unspoilt acres of meadows and pristine nature. 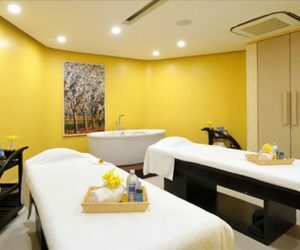 Spa la Vie by L’Occitane is a luxurious Mediterranean themed spa, located amidst the bustle of South Mumbai in Lower Parel. This 8,000 sq. ft. standalone wellness sanctuary offers signature aromachologie massages and has a 20 feet living Green Wall in the Spa Courtyard, which radiates freshness. Anaya Spa by L’Occitane is spread across 14,000 sq. ft. of area, nestled cosily on the banks of the magnificent Ganges at Anaya Kutir near Kolkata. This Mediterranean wellness sanctuary offers complete rejuvenation with lush green lawns and serene environment.